"Design a solution that reduces the impacts of a weather related hazard." 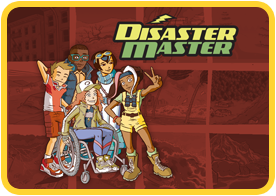 Use the online resources on this page to help you research the Natural Disaster. Look for books about Natural Disasters at Dewey Decimal number 550 in the Nonfiction section of our library. Use our library catalog to locate your subject. Here are a few titles to get you started. Amazing photos and interesting facts about earthquakes. Massive flooding around the world has been in the news lately. Your students can learn more about this natural disaster, why it happens, whos most at risk, and how to stay safe during a flood in this magnificently written and photographed book. Here is a dramatic and compelling guide to nature's most dangerous and destructive forces, hurricanes and tornadoes. Includes information about tsunamis. What causes tsunamis? Who studies earthquakes? How do volcanoes form? What should people do if an avalanche hits? Here is an exciting and informative guide to the violent eruptions and tremors that shape our planet. Learn how animals can detect earthquakes before people, what causes a fire fountain, how buildings are made to withstand earthquakes, where to hide during an earthquake, and why the earth shakes. What are you wondering about? Search your Natural Disaster to find answers. Videos, pictures, and facts about natural disasters. Learn about ten strange things that happen during natural disasters. Type the Natural Disaster name in the box. 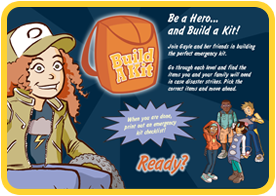 Click to do an online activity about safety during a Natural Disaster.